A program for junior riders under the age of 18. Riders compete in designated Dressage Seat Medal Semifinals classes, held at each of the nine annual Great American/USDF Regional Dressage Championships. The top two riders in each division (13 and under, 14 to 18) qualify to advance to the annual USEF Dressage Seat Medal Finals, held at a major USEF licensed/USDF recognized dressage competition in the late summer. The top two finishers in each Medal Finals division are named the year's Dressage Seat Medal Finals national champion and reserve champion. Section DR 132.2 of the USEF RULE BOOK contains complete eligibility and other details. 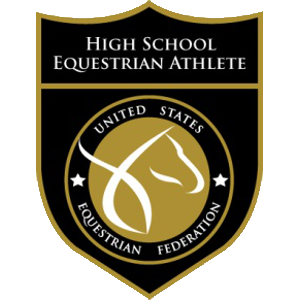 If you are a high school student (grades 9-12) you can apply to gain recognition from and earn your USEF High School Letter. Find out about opportunities to make riding part of your college experience. Looking for the right college? Scholarships are granted on the basis of financial need and volunteerism. The "Leg-Up" Scholarship will be awarded to riders, regardless of age, who are training at Intro, Training or First Level. The "Junior/Young Rider" Scholarship will be awarded to a rider under the age of 21 and is available to riders of any level.